‘Tis too soon for Hartshorn Tea. I be1eive the Dose will do. 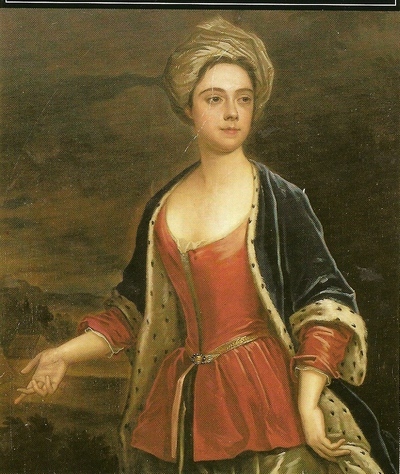 One of the great poets of the 18th century century, (once called Lady) Mary Wortley Montagu has been best known for her letters, be they the whole (partial — much has been lost) collection or just the ones addressed from Constantinople (The Embassy Letters), and her courageous use of inoculation against the small pox on her son and promotion of the procedure. Perhaps her life as a whole in several excellent biographies and literary studies, her relationships with brilliant famous men, periods at court and in Italy, proto-feminist prose, together with her verse, now vie for equal attention. Still while I like most of these, and am stirred, amused, absorbed by her letters, I’d say she was a great poet first of all. 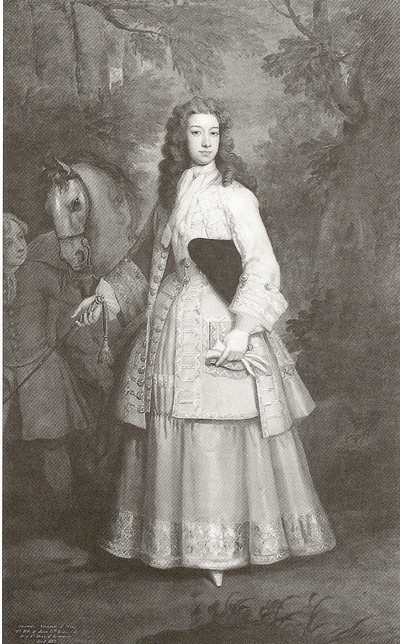 Along with Anne Finch and Charlotte Smith, Mary Wortley Montagu is one of the great woman poets of the long 18th century. Strong satire where she takes an unusual point of view. Most people at the time (and romantics still) seem to sympathize with Mary Queen of Scots, romanticize and glamorize her as a victim: in my view it’s an iconography of compensation and vicarious acting out made acceptable by Mary’s own defeat (she was in life a bad politician). Well Wortley Montagu comes out on the side of Elizabeth I, who actually kept her power, won, never married and remained strong. To fix her Joys, or to extend her Power? Gay, Witty, Youthful, Beauteous and a Queen! Vain useless Blessing with ill Conduct joyn’d! Light as the Air, and Fleeting as the Wind. Beauty, what poor Omnipotence hast thou! How few espous’d a Wretched Beauty’s Cause! Love for Amusement like those Traitors, Men. She favour’d oft — but never shar’d her Power. Tho’ Victory was gain’d by needfull Fraud. And such the barbarous Heart, hid by the begging Face. They cruel Hunters are, we trembling Game. They burn to Triumph, and they sigh — to tell. Cruel to them that Yeild, Cullys to them that sell. Superior Art should meet superior force. Secure your Hearts, then Fool with who you will. Take (Molly) at once the inside of my breast. That we live but few years, and yet fewer are young. Long years of repentance for moments of joy. For I would have the power, though not give the pain. And show in his eyes he is true to his trust! But not fulsomely pert, nor yet foppishly low. Be banish’d afar both discretion and fear! Whose kindness can soothe me, whose counsel can guide. As I long have liv’d chaste, I will keep myself so. Or be caught by a vain affectation of wit. But never shall enter the pass of my heart. The Lovers guardian, and the muse’s aid. My friend, my goddess and my guide. Here lyes John Hughs and Sarah Drew. Perhaps you’ll say, what’s that to you? On this poor Couple that are dead. But see how oddly things are carry’d. In Hopes to pass the Storm away. Consign’d them to the Shades of Death. Who knows if ’twas not kindly done? Had jointly curs’d the marriage chain. For P. has wrote upon their Tomb. My favorite for a long time was her elegant Horatian contemplative and melancholy-disillusioned Epistle from Constantinople since it’s long and frequently-reprinted I just offer the URL to Written in January 1718 in the Chiosk at Pera overlooking Constantinople. 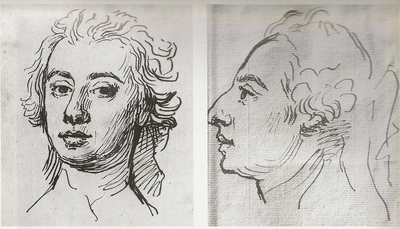 Wortley Montagu writes as fine a Horatian poem, Georgic and complex a satire as Alexander Pope in her Epistle to Lord Burlington, where she critiques and remembers a philosophical point of view emerging from landscape meditation. She wrote too from the point of view of the woman who had been “compromised,” and then found herself ejected or divorced and deprived of income and ostracized, e.g., “Epistle from Mrs Younge to her Husband,” “Miss Cooper to …”. On this last Montagu’s mask is that of a fellow woman diarist, letter-writer and poet, Judith Cowper Madan (1702-81). Madan also destroyed much of her work and was Pope’s muse (for a time). In some courtship letters a jealous Judith Cowper wrote that her suitor and later husband, Captain Martin Madan, neglected her. In Montagu’s poem Miss Cooper is clearly in love with the absent male who is apparently indifferent to her — and openly unfaithful. Montagu makes him unusually ambitious, avaricious, and hypocritically jealous because for advancement he would connive at his own cuckoldry. Here the unfeeling nature of the husband (“Who cannot pity, what you cannot feel”) is opposed to the passionate one of the wife. The result though is not so much desperation as fierce anger. To hide a Torment which I cannot bear. It gains no Glory, and it gives no Ease! ‘Tis I that languish and ’tis I that dye. No fear to lose me, nor no Care to please. No rapture when we meet, no pain to part. I cannot be more lost, or you deceive. And like a Common Prostitute be sold. Are these the Steps by which to Power you move? Is this the picture of the Man I love? Corrosive, ruthless, yet facing her passion. 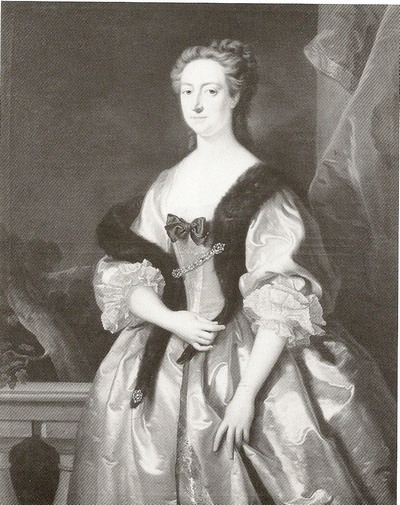 Throughout the nineteenth and into the twentieth century Lady Mary Pierrepont Wortley Montagu (1689-1762) was known as an eccentric, a risqué earl’s daughter separated from her miser of a husband, both of whom were scourged by Pope. What respect she had was for helping to spread the practice of inoculation for smallpox after she had been its victim — and for her sparklingly witty though lonely letters. These latter were frequently compared to the letters of Madame de Sévigné, another mother whose daughter seemed (at least to those who read the letters) not sufficiently grateful for such an outpouring of love and genius. In 1838 her status as a letter-writer was further reinforced by the publication of a series of letters she wrote when Lady Mary (as she was then known) accompanied her husband as wife of the ambassador to Constantinople: these were eventually published as Letters from the Levant During the Embassy to Constantinople, 1716- 1718. She told of walking through the streets of the city swathed in veils, of insinuating herself into harems where she praised the women’s life there. We might call her the Germaine Greer of her day, by the mid-20th century Montagu’s image had changed only insofar as her letters were respected and her reflective passionate intelligence was caught in her poetry. Montagu seems to have been a restless spirit, daring, unconventional in public, never wanting to retreat from the difficulties or divertissements of life. Montagu dared to leave her husband, threw over place, position, and access to a secure large income to meet in Italy an Italian philosophe, Francesco Algarotti, whom she wanted to live with her as her lover. She ended alone in Italy and then was fleeced by a much younger lover. An emotional need, and isolation from any real friends and loneliness, led her to turn to the cold conformist daughter — and write more remarkable letters. She did remain strongly hostile to her son. But oh! what cure for those who wish in Vain! in her family, and among her women friends. She tells far more than Halsband about the marriage to Wortley and shows how Lady Mary tried hard and how Wortley really did abuse her emotionally. There’s much more about the years in Italy too. I also like an old book: Symonds, Emily Morse (pseudonym George Paston) [as opposed to Gibbs’s old book still findable on the Net and misogynistic], Lady Mary Wortley Montagu and Her Times. London: Methuen, 1907. A newer good one attempts to explain away or justify the anti-feminist hostility (cruelty) of Lady Mary’s verses which further scapegoated women already made targets for nastiness: Cynthia Lowenthal, Lady Mary Wortley Montagu and the Eighteenth Century Familiar Letter (Athens: Georgia UP, 1994), 114-52. For the response of one of the women Montagu wrote about see Robert Halsband, “Virtue in Danger: The Case of Griselda Murray,” History Today, 17 (1967): 693-700. I find the years in Italy are not written about adequately (truthfully enough) at all, especially the long period where she basically lived with this younger Italian crook-type. Grundy really has a good one on this, trying to explain why Wortley Montagu had to lie and cover up what had happened: “Isobel Grundy, “Lady Mary Wortley Montagu’s ‘Italian Memoir,'” The Age of Johnson, 6 (1994): 322-24, 339- 43. On the way she goes into the real problems women confront when they want to write truthfully about their lives. As to editions, I recommend Grundy’s Essays and Poems and Simplicity a Comedy (Oxford UP, 1977), the complete letters but if you cannot find or have time for them, then Lady Mary Wortley Montagu, Selected Letters, ed. introd. Isobel Grundy [again] (Penguin, 1997). For fun and information and insightful and delightful pictures, Dervla Murphy, introd. 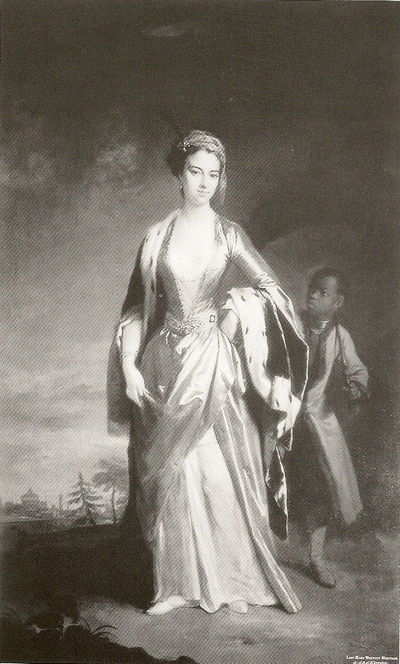 Embassy to Constantinople: The Travels of Lady Mary Wortley Montagu, ed. compiled by Christopher Pick (New Amsterdam book, 1988) Companion volumes: Robert Halsband’s Lord Hervey, Eighteenth Century Courtier and Peter Quennell’s Alexander Pope: The Education of Genius, 1688-1728 (New York: Stein and Day, 1968).